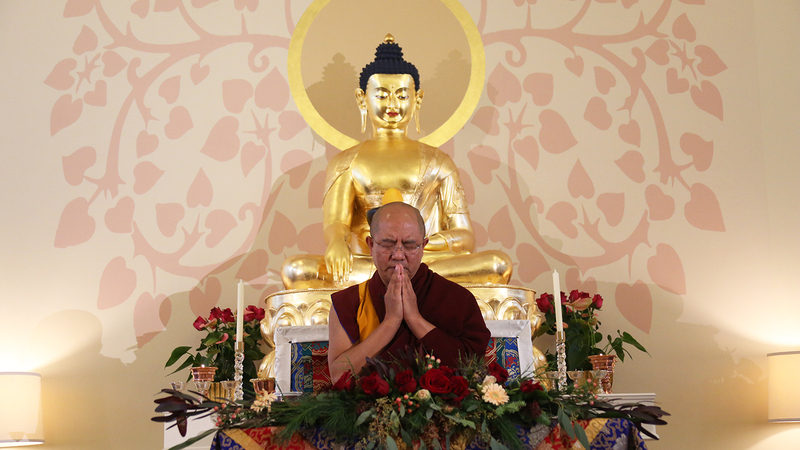 On December 2, 2017, Khenpo Sodargye Rinpoche was invited by the Karma Tashi Ling Buddhist Centre in Oslo, to give his teachings on the practice of the four-armed Avalokiteshvara with the title “Avalokiteshvara Sadhana—the Wish Fulfilling Jewel”. In his speech, Khenpo, in addition to introducing the significance of this practice as well as other spiritual practices in Buddhism for dealing with mental diseases and pressure, mentioned the fundamentals of Mahayana Buddhism and the true heart of compassion, and pointed out that anyone with such heart of compassion is Avalokiteshvara. In the end, Khenpo urged everyone to generate the wish of not harming sentient beings and to benefit others the same as Avalokiteshvara. For further information of this talk, please click here.